Last night I got a chance to play with my new Bombshell Stamps and I made this lovely little mermaid. The background is a bunch of random scraps and some of those gorgeous clouds from October Afternoon. And while we're talking bombshell stamps, you really should sign up for the newsletter. This month it includes a 20% off coupon and information on their design team call. This week's task over at Cuttlebug Challenge was to use crayons and do a wax resist. I loved this technique when I was little and was very happy to buy a box of crayons (can you believe we didn't have any???) and get cracking. This card cracked me up. I did the embossing and then went over the raised area with a white crayon. I had bought some butterscotch color wash and thought it was brown. Imagine my surprise when it came out a bright egg yolk yellow. I had to switch gears a bit but love the end result. This one is another simple Christmas card. Instead of spraying on and wiping off ink I just dabbed chalk ink over the background with a cotton pad. Thanks ladies for a very fun challenge. I made this thankful LO for a challenge by Edie over at TSR. In May I made my routine trek around the Internet to see if there was any new research on sacroiliitis. I saw a study out of the UK that showed promising results when sufferers removed all animal products from their diet. Another study had success with removing gluten from the subjects diet and there were also snippets of work with reducing caffeine, sugar and alcohol. I was desperate for some relief so I gave it all up at once. It wasn’t easy. Five months later I went to see Kirt, my doctor, and he told me had I not changed my diet I would definitely be in a wheel chair today as my bone disease had degenerated from moderate to advanced. He said if I had continued to indulge in the foods I used to enjoy, I would probably spend several days a month in the hospital. That news scared me to the core. It felt like too near a miss. Had I succumbed to my desires for hot wings or spaghetti I might not be able to walk right now. It’s been six months since I started my diet and I’ve lost forty pounds. The pain is a lot to deal with and nearly every moment of the day is spent on high alert to keep my back safe. It isn’t a nice way to live but it sure is better than the alternatives. I’m so grateful that God led me to make these choices for myself as opposed to having them forced on me. I’m thankful that I came across this information before it was too late. And I have a great appreciation for the importance of keeping myself healthy and strong. Do you ever leave a small space for journalling and then discover that you had a lot more to say? When this happens to me I usually make a little booklet. What do you do? Thanks so much ladies for all your comments this week. There were 83 comments in all - wow! That is many, many more than I had anticipated. I installed google analytics in August and my goal was to break twenty hits a day. I have been hovering around 80 hits and on slow days I average about 45. That's pretty cool. Thanks for stopping by, it's been a lovely way to keep in touch with old friends and make new ones. In honor of all of you I decided to choose three winners instead of just one. And while I'm tooting my own horn, I made the Stars of the Cabaret list for the virtual stamp night at Split Coast Stampers with my Corset Card. I got a standing ovation! Being included among such a talented bunch of ladies was such an honor. Hope Monday is treating you well. I'm looking forward to a productive week trying out various vegan dishes in anticipation of a very different Thanksgiving. Back in the day I used to do a lot of mixed media collage but it seemed kind of indulgent because they weren't "useful" like scrapbooking. This morning I decided that I've had a dreadful week - capital D dreadful) and I would submit to my whims. Barbara posted a challenge at TSR to recycle something. I used nearly the whole piece of cardboard, a page from a book, embossing powder, beads and wire. When I saw this at sheetload I knew I had to make one. Stamps: bbq chicklet right, jacqueline closed beak (left), and le bandit left. My bombshell christmas card made the artist's showcase at Bombshell Stamps. I'm so honored. Thanks, Shannon! This is a card I made for the special challenge over at Sheetload to celebrate Queen Kat Designs 2nd Birthday. I deviated a bit by adding the white square to the center as the finished card needed a bit more depth. All stamps are Just Johanna's Odd Bird Planet. I wanted to make a not-too-christmasy all occasion card that can be used after christmas for festive thank you notes. I used the November Sheetload sketch "beyond the card." I have a huge shopping bag that is overflowing with boxes, AOL CDs, oatmeal canisters - anything that would be handy to alter and use as gift packaging or storage. I can't tell you how often it's come in handy. Do you have something like that at your house? So today is my 180 day milestone on my diet. I had reached my goal on Monday and almost posted then as I was so excited. But this morning I woke up to major PMS swelling and bounced up a whole 1.3 pounds. Since I've been drinking a ton of water, exercising and eating really well I think I still made goal. Usually I gain about three pounds once a month so it's possible I'm a pound and a half under my goal. Which would be cool. I tell you in five days or so once the swelling goes down. It's not the grand hoorah I was hoping for but us women have to deal with monthly variables. My new goal is to lose sixteen pounds by February 6th - my birthday. This week of renewed focus has me back in the groove and I'm looking forward to meeting that goal in time for our trip. With the introduction of so many laptops into our life (did I tell you that story?) I decided to make it really special and bought us all new Gelaskins. They are a protective "skin" for the top of your laptop, ipod or phone that look really, really cool. Be sure to click on the pictures if you want to see them better. I'm just going to make the deadline for this challenge by the skin of my teeth *grin* This week's challenge over at the Cuttlebug Challenge website was to emboss a die cut. I was stumped as I don't think of myself as someone who uses die cuts. Sure, I have a Cuttlebug but it's My Squishy, a fantastic dry embossing tool. I only have two dies. What's a girl to do? Then it occurred to me that my lovely new Cricut is an electronic die cut machine. Duh! So I was off and running making both the die cut tags and the flowers. Everything for these cards came from my scrap bag. I seem to have become one of those people who doesn't throw out any paper bigger than my smallest punch. It gives me such a thrill though to take odds and ends and turn them into something as useful as gift tags - and I love the challenge. Thanks so much ladies for the prize. I love it! Since I am still resting up from my back-killer of a weekend I spent some time playing with my new stamps. I've been really enjoying the different tones I get when I stamp on kraft paper instead of watercolor. I also wanted to try out making a layered image using the A Pirate's Life and holiday accessories from Bombshell Stamps. This was a ton of fun because after I made her she seemed small and fairy-like. The boys even said,"aww, she's adorable." To play off of that, I used a large tree pattern from Basic Grey hopefully implying she's about three inches tall. What a weekend! I had it all planned out with military precision. Saturday morning at 8:00 AM I was going to the salon to had my roots and foils touched up and by noon I'd be gorgeous (just kidding) and ready for a fun family day and date night. The gal at the salon used the wrong color and my pretty red hair came out muddy brown with grey and mauve highlights. *gasp* Talk about getting middle-aged all at once. I looked like an older woman who had tried an "edgy" at home dye job. It was horrible. They still charged me - they are incredibly clear on that policy - but redid my hair right away. After the bleaching and the re-dying I was finally done at 6:00 PM - TEN HOURS LATER! We'd missed our movie and my spine had swelled so much it was like something was protruding out my back. I'm not meant to sit that long. The girl wouldn't show me the back, assuring me it was fine, just a little darker but certainly not enough to notice. I did ask about the bright red splotches where my bangs used to be and she said to come back on Wednesday when they'll redo the blonde highlights and all will be well. Yesterday I woke up and looked in the mirror in the light of day and almost cried. The back of my hair is brown with greyish black streaks underneath a top layer of bleached, reddish hair. The front is Pippi-Longstocking/Anne of Green Gables red for about three inches from my face and then abruptly switches to faded, drab strawberry-blond. I look a wreck. Because of all this I missed the Virtual Stamp Weekend at Split Coast Stampers. I did manage to squeeze in two challenges though. I've been invited to join the design team of Just Johanna's Odd Bird Planet! My term starts in December and goes until May so you girls will get to see all sorts of Odd Bird awesomeness. This is a huge honor as I am a big fan of both the stamps and the company itself. It's my first time on a design team so as I am posting my cards and such here on my blog please provide feedback and direction. I want to learn all I can so I can be an asset to the team. In honor of my 100th post (I'm a "real" blogger now) I'm going to offer some blog candy! Leave a comment between now and next Saturday at midnight. I'll choose a winner and make you something special. I had so much fun making my box in a bag yesterday that I thought I'd keep up the momentum and make a few more pretty packages for the upcoming holidays. These gorgeous little boxes are are treat sized and would be excellent for holding a few chocolates, wrapped candies or a coupon for a special service. They close with two tabs and can actually take a pretty good beating ( my boys handled them extensively) without coming open. You can find the tutorial and template here. The template has two tree boxes per sheet of paper. I copied mine onto heavy card stock and used one to trace out a full tree box. With the other, I cut out the panels of the three triangular sides (not the bottom) and used them as templates for cutting paper to the right dimensions. For the orange nature box I made the base with kraft card stock and then added the orange paper. For the bird box I made the box itself out of heavy patterned paper and saved myself the extra step. These would make wonderful advent boxes. You could make 24 of them (once you get the hang of it, they're quick) and put a nice cheerful number on the front and then hang them all over your christmas tree. Inside you could place notes as to that days special activity - sledding, baking cookies, looking at lights etc. - and then open one each day. We're heading into the gift giving season and I am trying to whip up some cute little packages to hold coupons, gift cards, chocolates and such. This one is so easy and fun that I really hope you try it out. I used one piece of double sided paper but you can be as fancy and extravagant as you'd like. * The bag is as tall as the number of inches that is not the eleven inch side. So in the example, the patterned paper is 5.5 x11 and therefore 5.5 inches tall. If you want a taller bag then you need to increase that number. * When you put your sticky tape along the end make sure you wrap it in such a way that the sticky side will be available to seal the bag closed. I goofed on that and have a nice line of covered tape inside my bag. * When attaching the handles use glue dots. You need something pretty heavy duty. I used three glue dots per side (twelve total). * If you use double sided paper this can be a one sheet project. In this case, the beige I used for the scallops and handles was the back of the green and orange paper. Very handy and keeps the cost down. * I didn't have a have a round tab punch so I used my Cricut to cut a background mat that I thought would look like handle when folded. If it didn't work, I was going to use a tag and put the beveled side facing the outside and the plain bottom end inside the bag. * I don't have a scor-pal. (Santa, I've been good and I'd love one!) I just use a scoring blade in my paper trimmer. Since I bought a new paper trimmer I keep my old one around just for scoring. Works like a dream. These are really easy. It didn't take much time at all and I've seen girls make dozens of them. Wouldn't they be adorable gift card or chocolate truffle holders? We all got glasses in October. I was waiting to post until Chris's showed up but his are manufactured to order in Switzerland and have taken over a month to arrive. This is a pathetic plea to my online friends to give me a hand. I think I've hit a plateau on my diet. I seem to be bobbling back and forth, up a half pound, down a half pound for the last month. I haven't gained anything but I haven't lost either. But, next Wednesday I'll have been on my diet 180 days and I really want to break through the forty pound barrier. I really, really, really do. *I've been too sore to exercise. *My sweetie became a vegan so I've gone from making vegan girl food to vegan feasts. Trust me, the fat cells in your rear end can tell the difference between an apple and a vegan apple crisp. And don't even get me started on vegan pesto drizzled with olive oil. MMMMMM! Sheer bliss but the calories! * My stress level has been high (all that stinky doctor stuff) which always makes me hungry. * Long term weight loss is boring. There I said it. BORING. * I'm down 38.6 pounds so 40 is well within shooting range. * I've started getting up with DH and having a soak in the hot tub before he goes to work. That seems to loosen things up enough that I've been able to work out twice this week already and a full thirty minutes this morning which is almost normal. Working out really helps the weight come off. * Cravings and such aren't a problem anymore. I find the foods I eat to be incredibly satisfying. So ladies, prop me up. Share your wisdom. 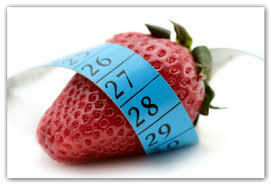 I'm sure many of you have lost weight - possibly even significant amounts - and weathered a plateau. What are the tricks? Also, I'd like you all to celebrate with me next Wednesday when I hit my 180 day goal. I got my order of the new releases from Bombshell Stamps last night and they are so awesome. Here's a peek at the ones I bought, you can bet you'll be seeing more of these gals in the weeks to come. 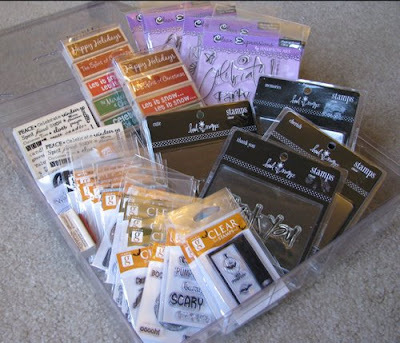 You've heard me talk about them before but Sheetload of Cards is one of my favorite online resources for card making. Their uber-efficiency really floats my boat and I am always so pleased with the results. If you aren't a stamper, don't let the stamped section keep you away, I often use a chipboard shape of a pretty piece of patterned paper as my focal point. They are having a major blog candy give away. You can read more about it here. Also, my fall cards I made with the October Sheetload recipe were one of the two chosen for the prize. Woo-hoo! You can see them here. I took October off from the scrap-room as I hadn't finished off two of my kits from the summer. Scrapbooking and cardmaking kits are wonderful as they save you the time and the expense of going out shopping for paper and embellishments. You also get new product often earlier than craft stores. The downside is that the once a month delivery can really catch up to you if you aren't using them. At TSR they do two really great things, one is Get More Pages Done which is a goal to make at least one LO or item from each of the four mini page kits you get each month. This really helps you break open your goodies and get scrapping. The other fun thing they do is Kit Killer. I've mentioned it before as it is a favorite of mine. The idea is to use your page kit until the scraps left are so insignificant there is nothing to put away. I love not hoarding. Use it, love it, toss the trash. If you ask me, that is a lot of fun for five bucks. To learn more about kits and find one that suits you best, a great resource is Willow Traders. Tip: KIts that allow you to skip are the best as you can choose to only buy what you like, or if you are like me, take a month off of buying to use up what you have.